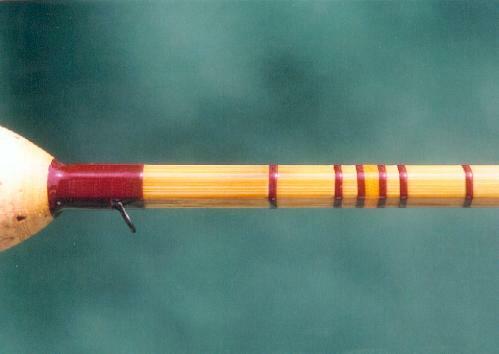 These delightful small stream fly rods are 2 piece rods, but the 6' 0" is also available as a special order one piece rod. 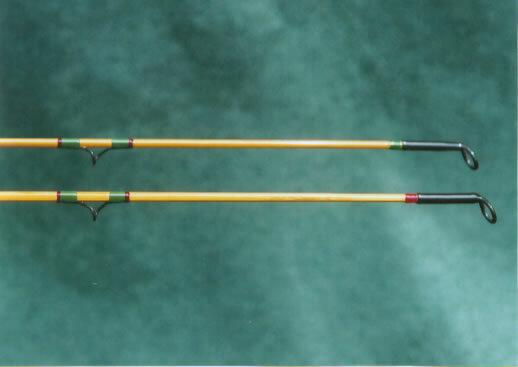 The 6' 0" 3wt is a very delicate, yet powerful and responsive rod. 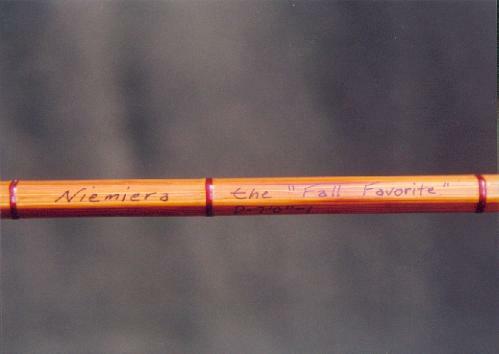 The Fall Favorite is just that, a delight to fish anytime, but especially in October and November. The action is crisp as the Fall air, and the flyrod is as pretty as the fall foliage around you. 7'0" 4wt crisp and very responsive. 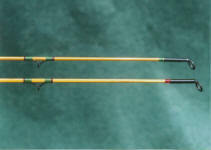 7'6" 4wt a powerful rod with a faster taper, delicate at short cast, and is there when you need that added distance. 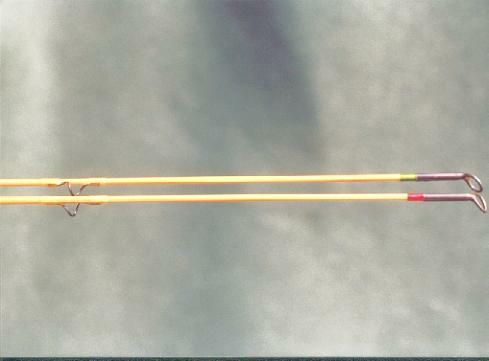 8'0" 5wt has control, and a very smooth, delicate action, nice. 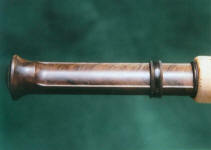 These are Garrison reproductions made on the famous Garrison tapers, with Garrison action retained. Field-testing the "Gorge", and liking the results. 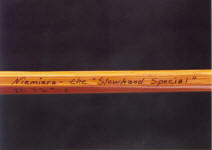 Named after the Ken Lockwood Gorge in New Jersey. 8' 0" 5wt is a longer version of the 7' 6"
Imagine... Finding your pot of gold when you've ordered a custom Niemiera "Rainbow" series flyrod. 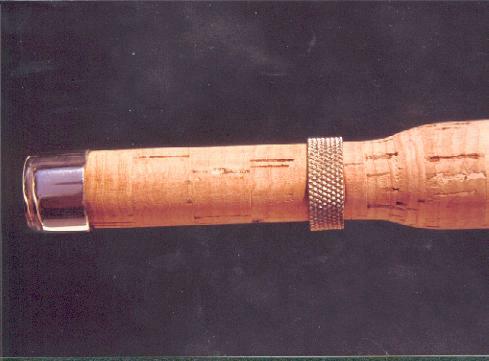 From 6' 0" 3wt "midge" rods to 8' 9" 8wt "steelhead" and "salmon" rods- your choice of color for the wraps, we custom design a taper to your specific fishing needs, your choice of reel seats, handle styles, hardware, the combinations are endless. 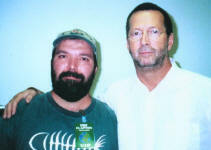 To so many, he is the guitarman, and truly one of the greatest of the blues guitarists. 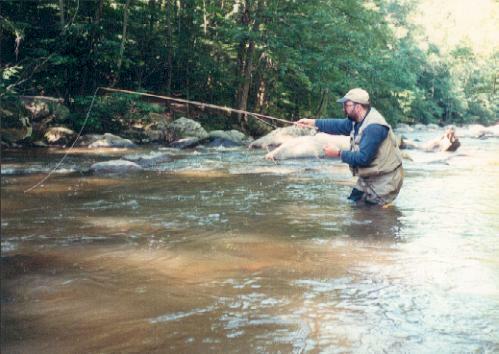 He too, is a gentleman, a flyfisherman, and a master dry flyfisherman. As a long time devotee of Eric Clapton's music, it was very rewarding, and my extreme pleasure, to craft a flyrod for him as a token of my esteem. 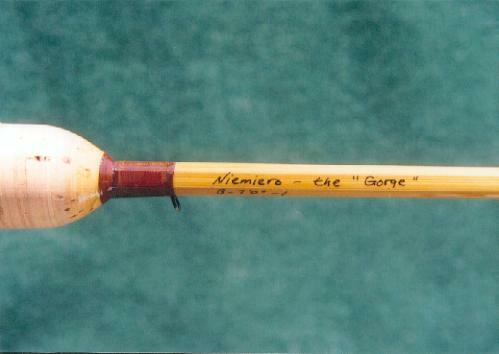 I had the pleasure of hand delivering this flyrod to Eric during the past Reptile World Tour. 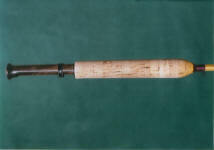 In presenting Eric with the flyrod, I was elated as he shared a smile with me as he described his Niemiera as "lovely". 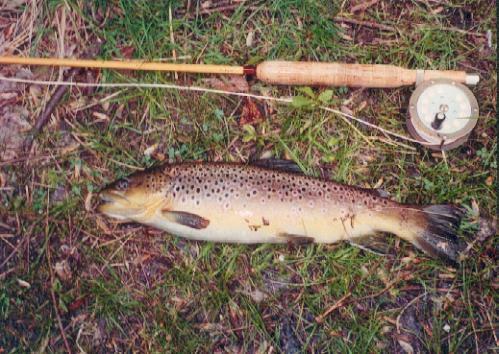 As he put the sections together, and eyed up the guides he flexed his new flyrod and stated " Oh yeah, thats nice" and again told me " its lovely, just lovely". 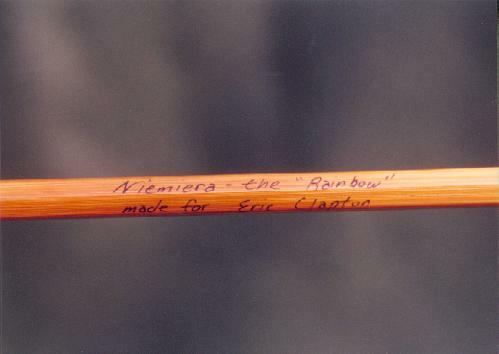 As a result of our meeting , and through correspondence this past year, I am pleased to announce Eric's endorsement of Niemiera Flyrods. 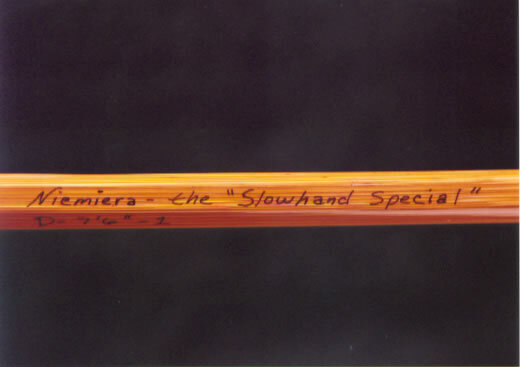 The "Slowhand Special" offers to the discriminating angler what has become a Niemiera Flyrod tradition of creating sensitive, accurate, easy casting flyrods. 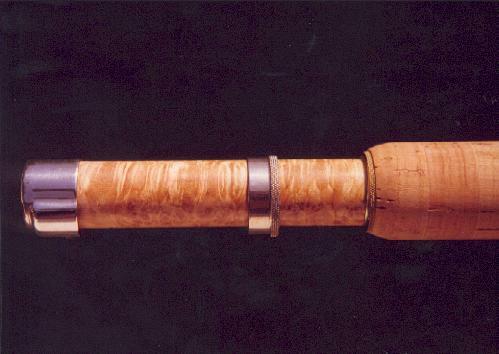 Best described as an extension of the anglers casting hand, these are truly delightful flyrods. 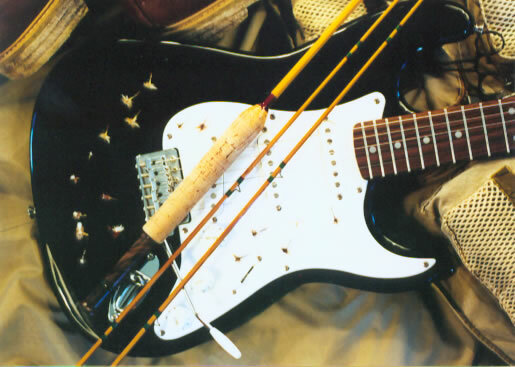 Whether you're into the blues, or just an avid flyfisherman, this is the Niemiera for you, the one that's sure to perform beyond your expectations. 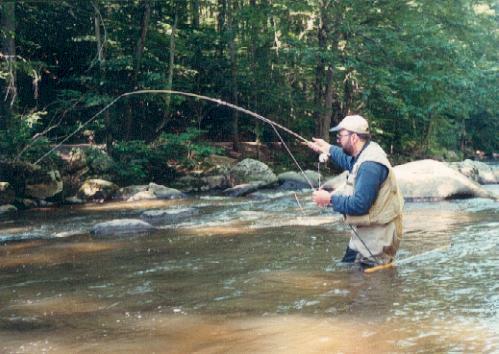 The 6' 9" 3wt is delicate, powerful, and responsive. 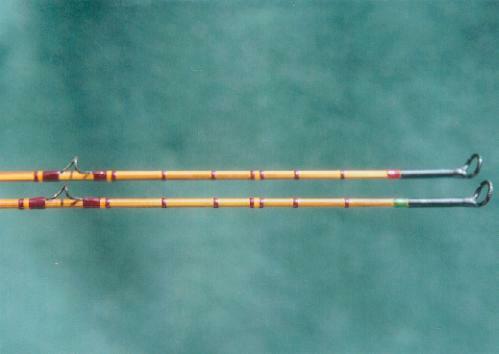 The 7' 0" 4wt has a crisp and responsive action, this is it for fishing dry flies. 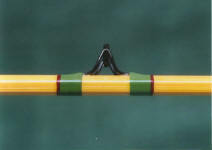 The 7' 6" 5wt is my favorite, it does it all, line control, delicate casts, and is there if you need some added distance. 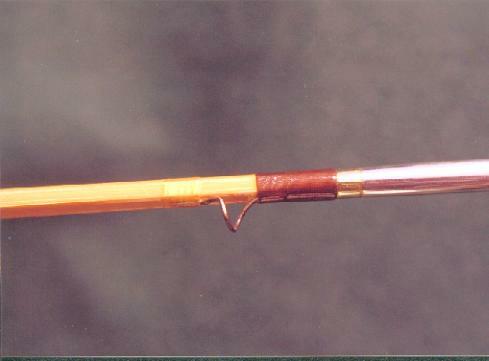 The 8' 0" 5wt is a longer version of the 7'6", smooth line control. 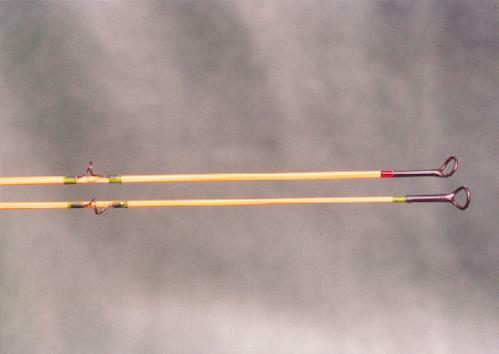 The 8' 6" 6wt is a strong, accurate flyrod. 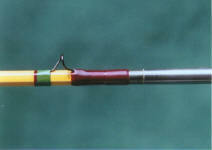 The 9' 0" 7wt is not all that fast, but can cast a 7wt line with authority, very powerful, very smooth. directly to Eric Clapton's Crossroads Centre in Antigua. 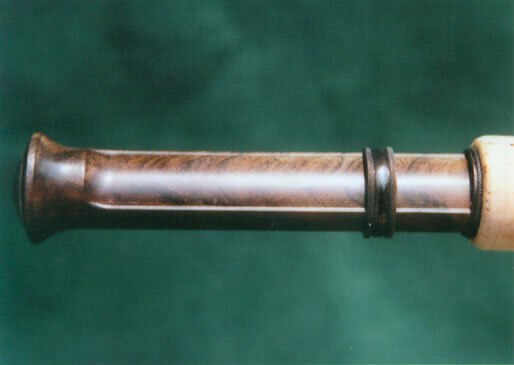 Although, there are times when rods are available for immediate delivery, custom tapers are produced as orders arrive, and when terms agreed upon. Payment, including shipping/handling and NJ state taxes when applicable are required prior to delivery. A $250.00 non-refundable deposit (Credit Card or Check) is required for each rod ordered, at which time your culm of Tonkin will be hand split and the rod making is begun. At this time the customer will be notified of their expected delivery date. 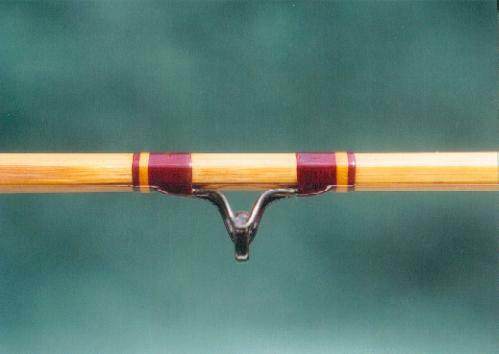 When your rod is finished, you will be notified, If you pay by check an invoice will be sent for the balance due. If you pay by credit card you will be billed the balance of the account. You will have 30 Days from date of the invoice to remit the balance due, or the sale is voided, and the deposit forfeited. 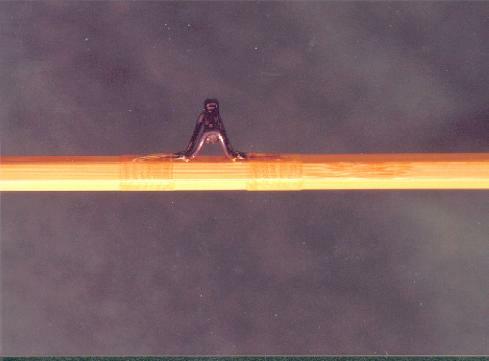 the balance must be paid in full before delivery of your rod. 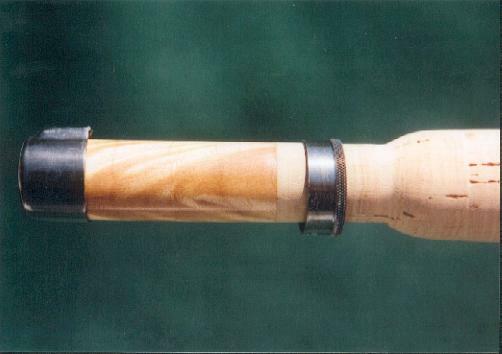 All rods come with the following guarantee: If you are not satisfied with your rod you may return it (postage paid and insured) within 7 days of the delivery date, unworn and unfished for full refund. After 7 days all sales are final. 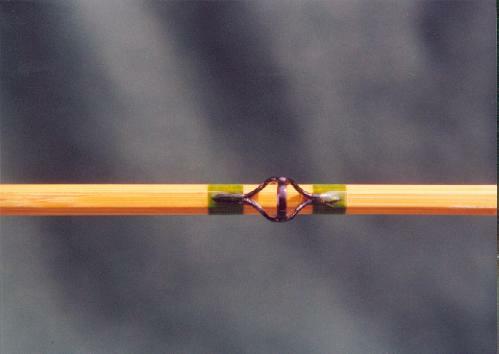 All rods are covered for workmanship defects to the original owner for as long as they own the rod. 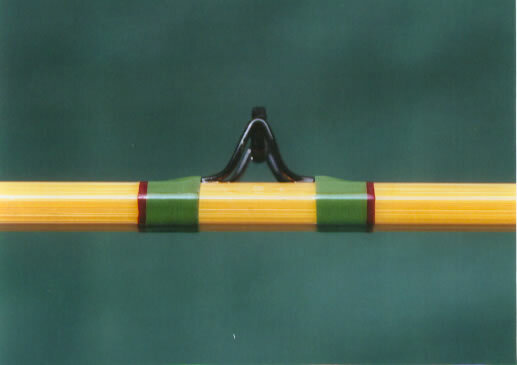 All rods are guaranteed against breakage one time. 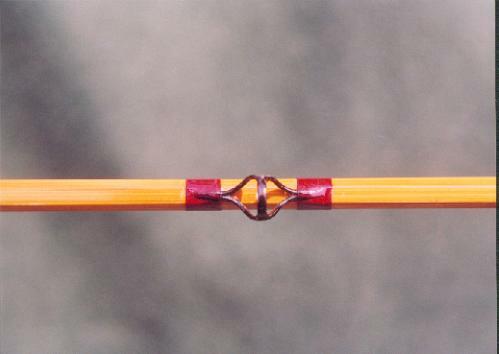 This warranty does not cover damage due to misuse, negligence, abuse, accidents, anglers wear and tear, breakage due to doors, car doors and trunks, or to rods having any modifications. 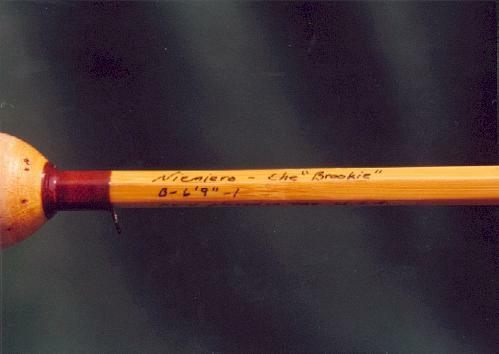 The Niemiera Fly Rods Online Catalog is formatted as a PDF (Portable Document Format) file, and will need to be opened with Adobe Acrobat Reader. We did this so our customers all over the world can download and print it without having to own the catalog publishing software we used to make it. Acrobat Reader is free software from Adobe that lets you view and print Portable Document Format (PDF) files. PDF is the standard for electronic document distribution worldwide. PDF is a universal file format that preserves all of the fonts, formatting, colors, and graphics of any source document, regardless of the application and platform used to create it. PDF files are compact and can be shared, viewed, navigated, and printed exactly as intended by anyone with a free Adobe Acrobat Reader. Run the Adobe Reader install software after downloading it. 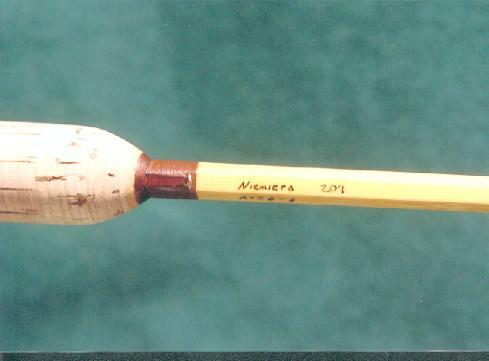 Then download either the Niemiera Fly Rods Online Catalog or Order Form. It will open in a new window under Adobe Acrobat Reader. Note: When printing the Online Catalog or Order Form using Adobe Acrobat Reader care must be taken to print one page at a time and the pages must be manually arranged so they can be printed upon on both sides. The proper order is critical so that the final product prints out as a booklet.